I have really grown to enjoy my cloth diapering journey, I love the cute little fluffy bums and the price savings! I was getting a bit worried though as I could not find a diaper solution that would work for my boys for night time. It seems that no matter what I did DS3 would either wake up soaking wet in pee in the mornings or wake up during the night with a super wet diaper. Now I did not mind changing a diaper during the night,....well OK I did but i'd way rather that then him being soaked all night, but I'd was still searching for a solution that would help us all get a good nights sleep. I was super excited to come across a diaper shop called Binky D Diapers and I had heard some great things about their products so I thought I'd check it out. I was super excited to find that not only did they have regular Hybrid Fitted diapers they had also started to carry a night time diaper! I HAD to try and I am so glad I got the chance to review one of their Hybrid's!! 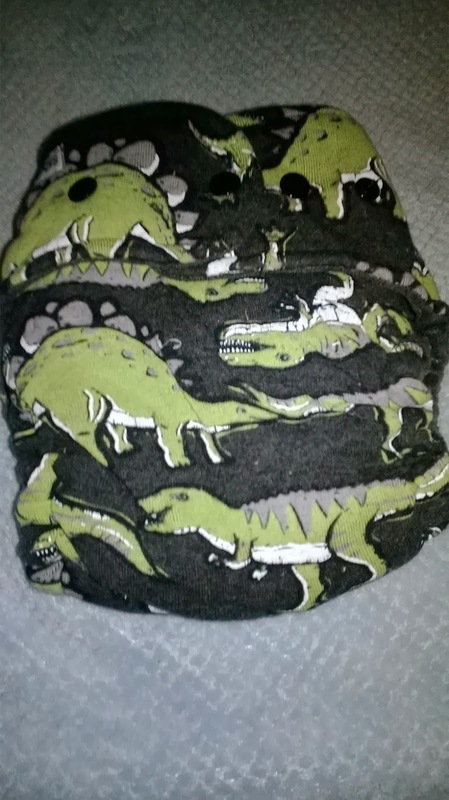 I was sent this super cute dinosaur print, and my boys LOVED it and actually wanted it on right away! I had to give it a wash and then we could give it a try! The diaper comes with two snap in soakers. The top soaker is made with a layer of heavy Bamboo fleece sandwiched between layers of cotton velour. The top soaker is extra long to enable you to fold it over to create extra wet zone absorbency. 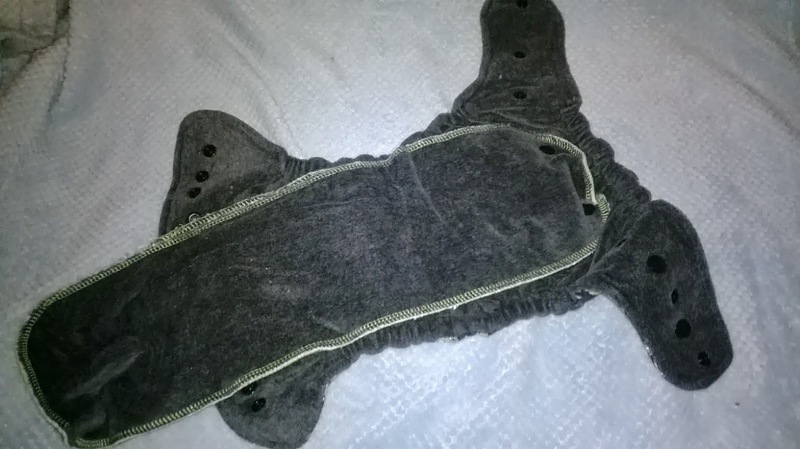 The second soaker is two layers of bamboo fleece topped with cotton velour. I love how squishy it is and so soft! Binky D Diapers is now coming out with an even trimmer diaper then the one I received (I had no problems at all with mine) but love a nice trim diaper! The also carry a night time diaper called the nigh-d night (so cute). I really want to try that one! Binky D diapers will ship around the globe so everyone can get in on this fluffy goodness and they stock the store every other Sunday. Enter to win a Binky D Diapers Hybrid Fitted embroided with a Jack image! Winner will specify serged or turned. item will ship within 2 weeks of preference being submitted. I have yet to try a binky d but I live the idea of their nigh-d night diaper! I just adore their diapers they are so awesome. SO funky and fun. I love binky d diapers! I think my favorite thing about them is that they are made by a mom and not a big name company! I love all of my binky d diapers. They are the best night time diaper! theyre absolutely gorgeous and creative works of art! plus i love fitteds. i wish i had more. 2 just isnt cutting it! I like that their diapers have a fold down rise. TNBC is my favorite movie ever! I love the multiple layers of bamboo fleece for extra absorbency! <3 <3 <3 how absolutely adorable they are! I have yet to try one on my DS, but I hear amazing things about fit and absorbency! I love the unique designs Binky D comes up with for her diapers and especially the appliques! I love those dinosaurs! 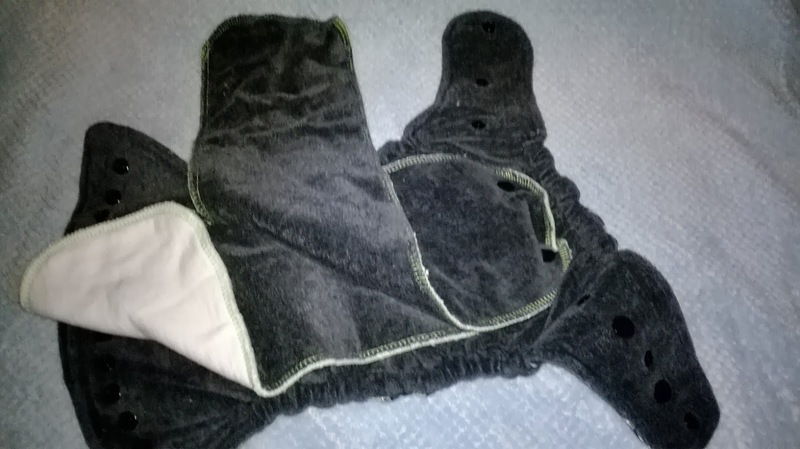 I've been dying to try a diaper with fleece instead of PUL for a while now. I love that they have a fold down rise! I like that thee are one size diapers so they will fit for a long time. I love their prints, quality, and that they are WAHM diapers! I love supporting WAHMoms. I also love their prints and the one size factor of the diapers! They look great!! I love that their diapers are one size! I like that their diapers are hybrids and one-size. I also LOVE their patterns, particularly the robot/rainbow diaper. I like that they have 2 snap in soakers. I like the idea of a hybrid fitted. I never understood what this meant before. I haven't tried their diapers yet but after reading about them I want to try them. I love that they are fitted and I LOVE the designs! Hybrid fitteds are meant to be worn coverless! I love the section that talks about why you should use hybrid diapers! I love the shape and prints!! They have a nice comfortable looking shape and awesome designs! I like that they are hybrid diapers. They sound like they are a lot nicer for baby's bottom! I like that they are hybrid diapers. They sound a lot nicer for baby's bottom! Awesome! I so need a night time diaper! 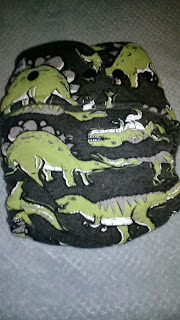 I like the cute fleecy fabrics they use for their diapers.